Nose: Light and musky, enjoy aromas of gingerbread, saffron, and honey, and tones of vanilla and fresh cranberries. The Park XO Cigar Blend Wood Box Cognac has been created, as the name suggests, to beautifully complement a good cigar. Made from a blend of 60% Grande Champagne eaux-de-vie and 40% Petite Champagne, it's perfectly designed to not be overpowered by strong tobacco. 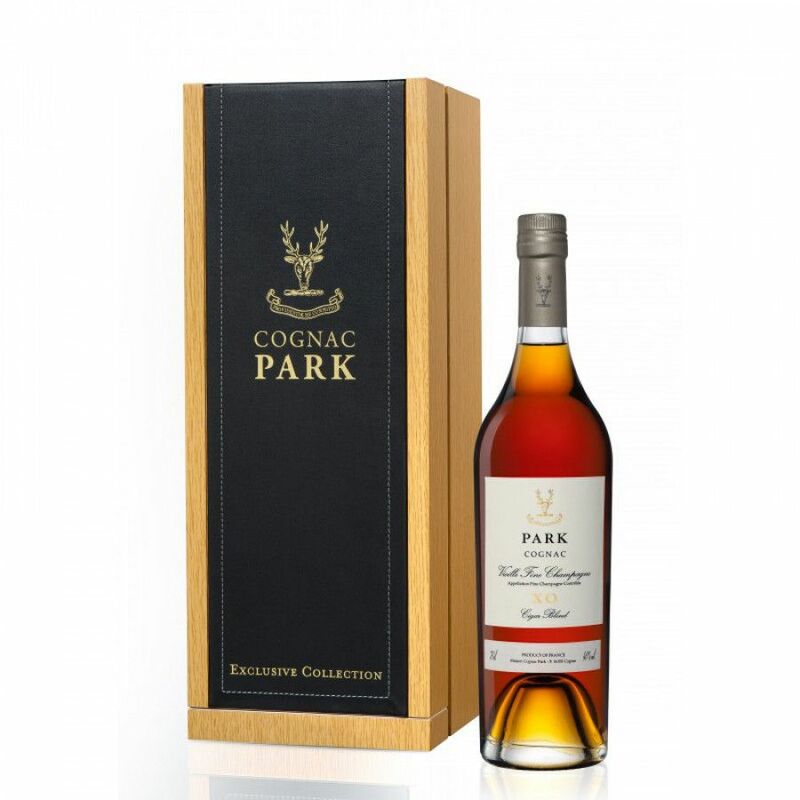 This is a Cognac that's strong and rich on both the nose and the palate, because, as the cellar maser says, 'strong tobacco can overwhelm a delicate Cognac'. This fruity, spicy tones of this blend ensure that when paired with your favorite cigar, it's still possible to fully appreciate the Cognac. The perfect gift for the cigar connoisseur, especially thanks to the beautiful wooden box presentation.